At Aero Mechanical we specialize in commercial heating and air conditioning service and repair in the states of Rhode Island ( RI ) and nearby Massachusetts ( MA). As one of the premier full service mechanical contractors, we've learned how to satisfy your most rigorous quality standards. From large projects that are fast-tracked and sophisticated, to small retrofit projects, we have the resources and the experience to make your project a success. 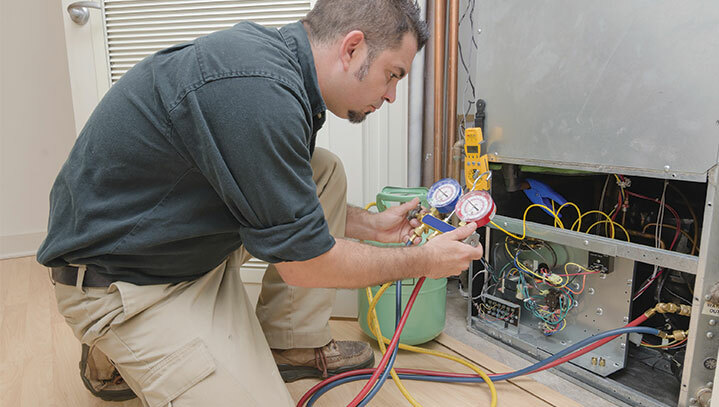 We offer 24/7 emergency service to help keep your HVAC systems up and running. We also perform heating, ventilation, and air conditioning upgrades to an array of existing commercial systems and Preventive Maintenance programs which offer regular testing and maintenance of commercial building's cooling and heating equipment, which directly reduce the need for costly repairs or down-time. If your company is looking for a highly experienced qualified company which specializes in commercial heating and air conditioning service and repair then look no further then Aero Mechanical. Contact us today, one of our staff members will be happy to assist you or answer any questions you may have. All Rights Reserved © Aero Mechanical, Inc.